Without fail everybody of you as a child has read a Jonathan Swift’s novel about Gulliver’s travels. And for sure you remember clumsy Gulliver walking at Lilliputians’ town. 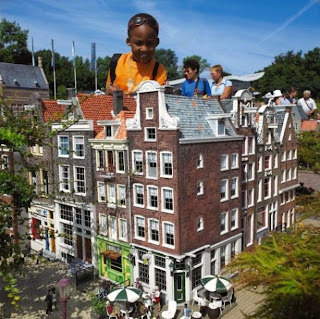 You can feel yourself giant by visiting of miniature city Madurodam in The Hague. There are about 20 miniature cities all over the world and what is interesting of them is situated in Western Hemisphere. 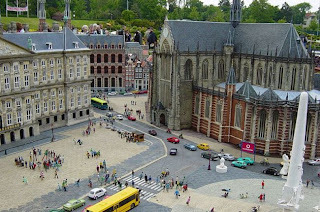 Madurodam in the Netherlands is one of the oldest miniature cities in the world and the first one in the continental Europe. The urban development plan was created by architect Sibe Jan Baum and Madurodam. Since 1952 year opening it was visited by tens millions of tourists. It is not only tourist place, but it is war memorial. Mini-city was named after a student George Maduro who fought against the Nazi invaders, was a member of Dutch resistance and died in 1945 as a hero. After all these events George’s parents donate means for the project’s starting and for earnings to go for charity. Dutchmen, it is necessary to say, are very funny people. They appoint princess Beatrix a mayor of Madurodam. She hold a post with all the gravity by her coronation. So, now Beatrix is the city’s patroness, and major is elected by Youth municipal union consisted of 22 schoolchild. All objects here are done on a scale of 1:25. Visiting this open air museum you’ll make an acquaintance of everything the Netherlands are famous by. They are windmills, markets, churches, Amsterdam canals, farms, oil-processing and other factories, museums, Rotterdam station Blaak, Amsterdam airport Schiphol, offices and dwelling houses. 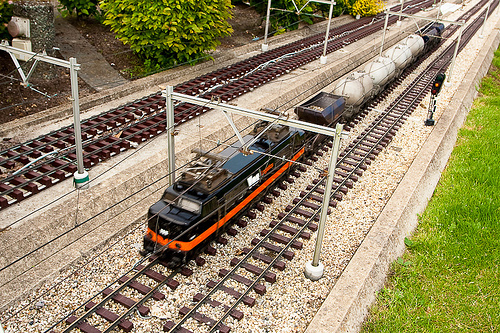 Some of the exhibits were built in more than four years. Only 35 people work here, they build new models, look after other, make excursions for the tourists. Typical Netherlands buildings are presented here. The Anne Frank House, the Royal Palace, the Schreierstoren tower, the Magere Brug Bridge, the Airport Schiphol are borrowed from Amsterdam. Small copies of the Royal Picture Gallery Mauritshuis, the Peace Palace and the Binnenhof show us The Hague’s architecture. Tourists, triumph! All these miniature copies are very much alike true buildings. And models have splendid feature: they are more photo-friendly than their bulky prototypes. The minimodels fit into frame perfectly, there are no people crowds against a background and you can do photo at any angle. Designers and architects are worthy of respect! All details are so well done. If you peep in one of the windows of Amsterdam Rijksmuseum you’ll see a minicopy of Rembrandt’s painting “The Night Watch”. Voilà! Mini-city have more advantages than real one. For example, you can have a good look at King Palace from behind. And if you remember, it is forbidden to take pictures of Amsterdam Red-light district. In fear tourists hide their cameras to bags! In reality you can’t do excellent photo! And who don’t dream about seeing favorite city, its canals and streets from the height of avian flight. 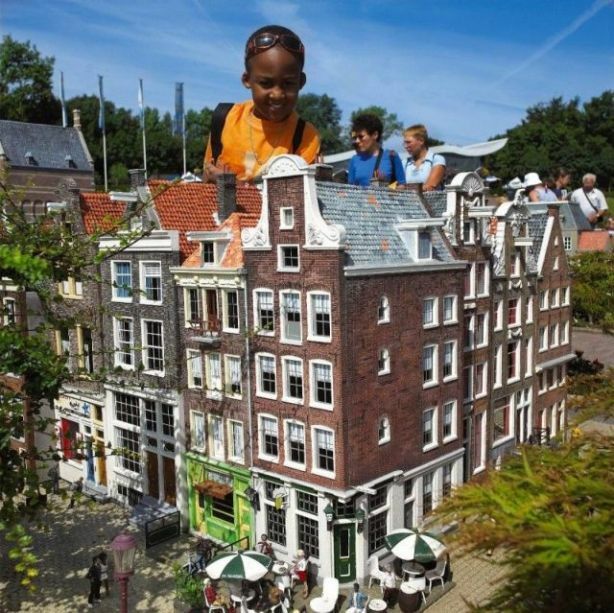 And besides buildings you can meet complete Lilliputians here: small people, dogs, cars and buses. And trees! In fact they are bushes cut special way and their height is kept at the level of 60 centimeters. Moreover, crows and ducks here are real, they create unique color at all this place! Tourists here can take part in urban life: they can make Lilliputians move. They need drop a 20 eurocents coin in the slot: people will begin to walk, sing, dance; roads and carousels will revive with music and squeaks! It will make you laugh to look at real people walking among streets, canals and especially contrast to the background of airport Schiphol and airplanes there. By the way these airplanes don’t fly, only make circles here. And trains run on their routs. Everything looks very naturally! Madurodam is located in The Hague’s district Scheveningen and thanks to this district is the most fore-handed in this city. Scheveningen’s managers have realized many excellent ideas to promote their territory. 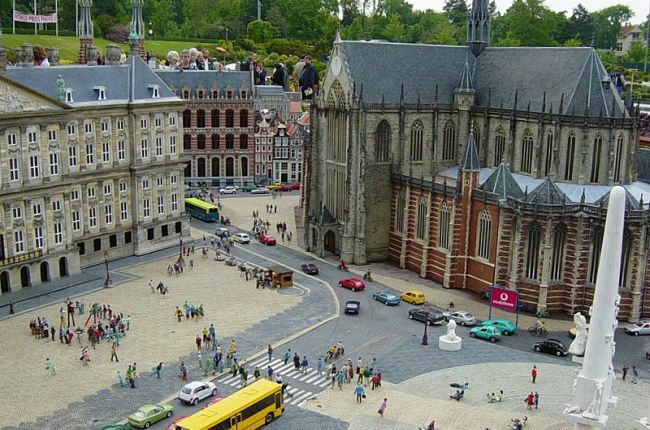 Apart from Madurodam there are more than 20 sights you must visit here and some activities you must take part in. Of course you should walk along pier outgoing to the see where a lot of shops and restaurants are located. The Scheveningen Museum, The See Sculpture Museum, more than hundred-year lighthouse, the seven-centuries-old church, the Oceanarium. In general, Madurodam is a good project not only for the business benefits, but also for promotion of all the Netherlands. I think, after visiting this theme park you’ll want to see all of these places of interest in reality!